The human skeleton is an endless source of fascination and inspiration. The structure as a whole is a wonderful machine, while the beautiful curves, shapes, and delicacy of each individual bone make it a work of art in itself. My intention is to represent the fascinating science and reality of the skeleton by capturing its gracefulness and beauty with my pencil. 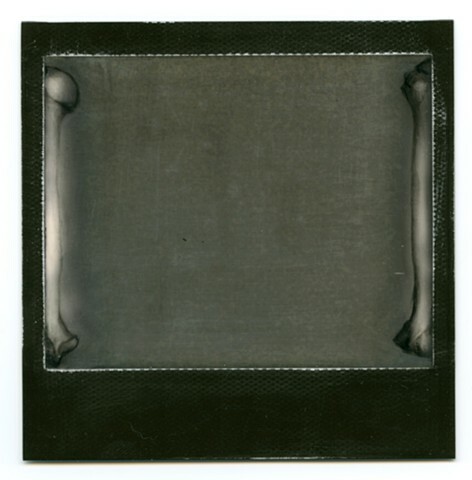 For this piece, I used a blank exposed photograph on black and white Instant Film (PZ 600 Silver Shade Cool), the surface of which I manipulated to allow the use of graphite.